The sun is shining, the birds are singing and summer is just around the corner! It’s time collect inspiration for the perfect summer wardrobe! Seanna is rocking every girl’s best accessory – a gorgeous smile – and channelling Cuban vibes mixed with on-trend pieces for summer. You can get Seanna’s exact street style look at Zara or, shop our favourite Look-A-Like styles below! Our latest street styler, Alphonse, is proving that girls don’t get to have all the fashion fun! Hanging out on the streets of Brooklyn, this cool dude rocked awesome, affordable styles from Zara and photographed by Michelle Wilson and styled by Dominique Marie. 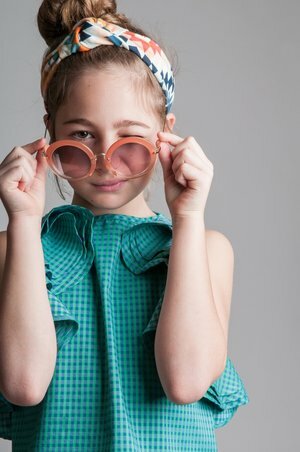 Miss Devin welcomes spring with prints on prints in our latest Online Exclusive editorial by Michelle Wilson! We’re swooning for these cool print/pattern combinations and definitely think you should give this look a try!